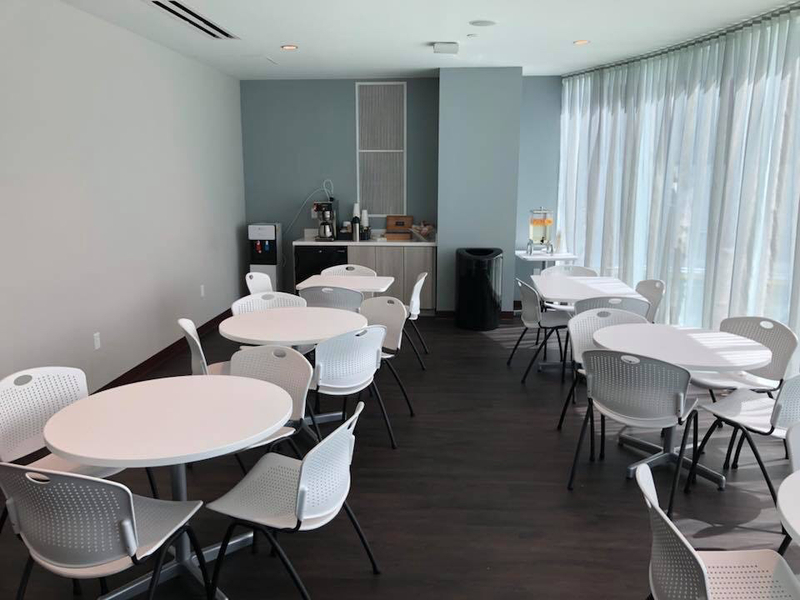 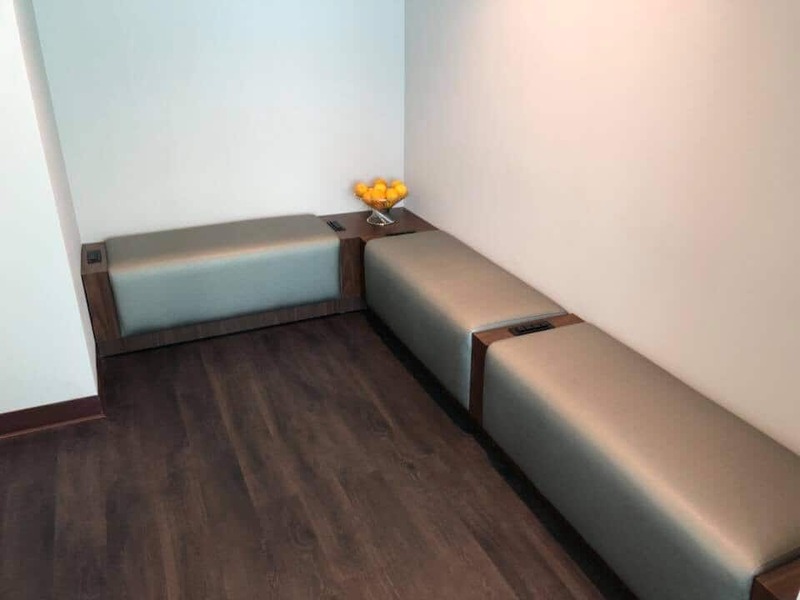 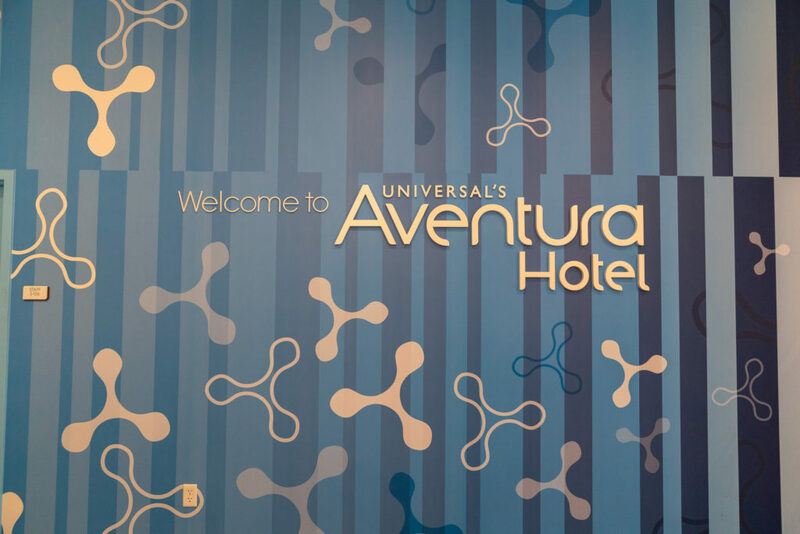 This page features an extensive photo gallery of the public spaces at Aventura Hotel, one of two prime value on-site hotels at Universal Orlando Resort. 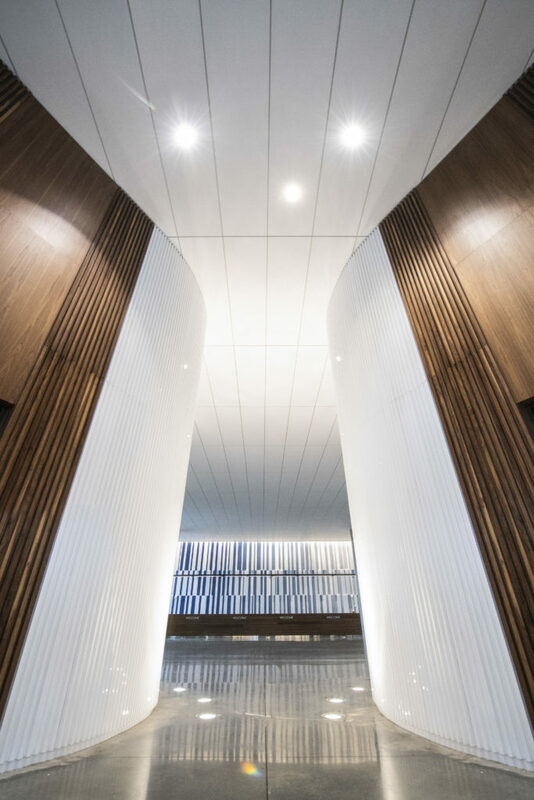 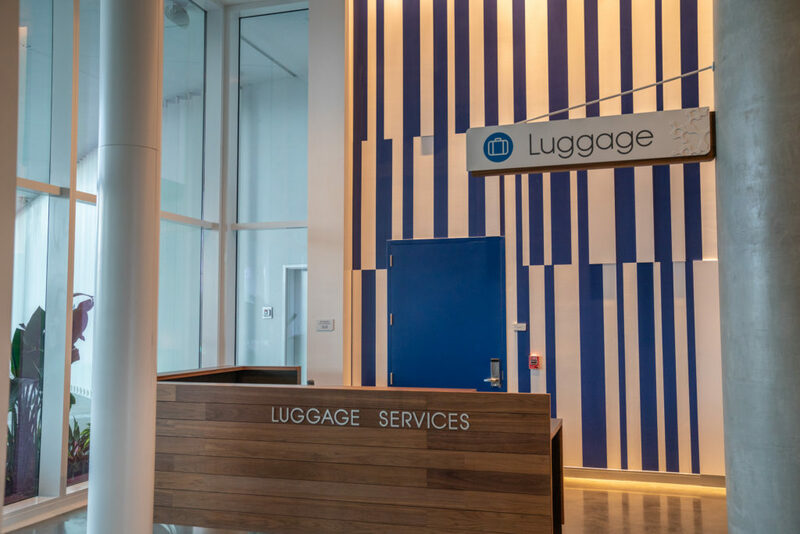 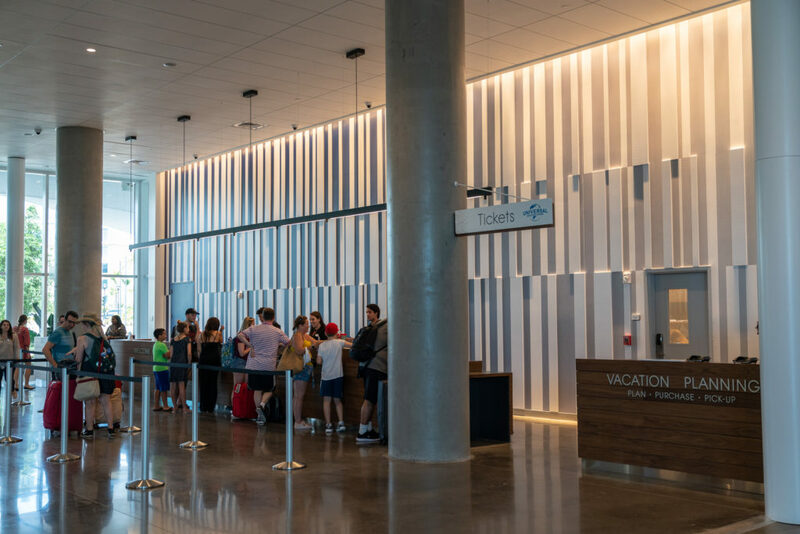 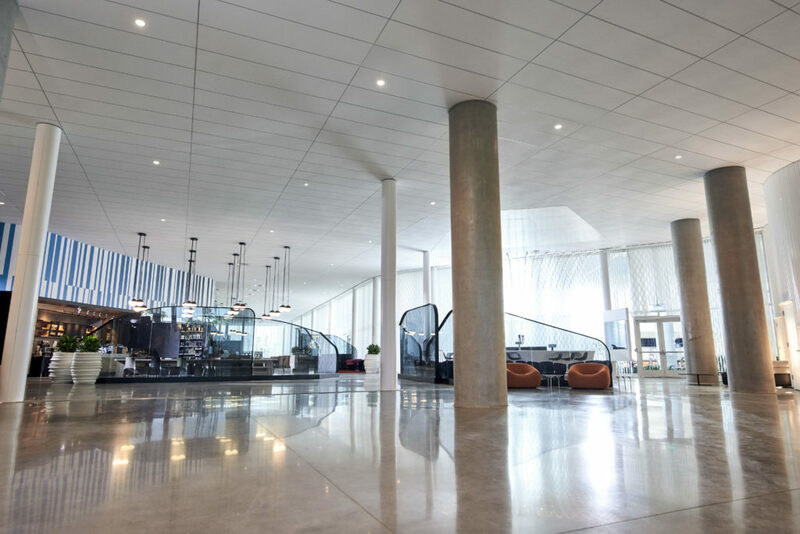 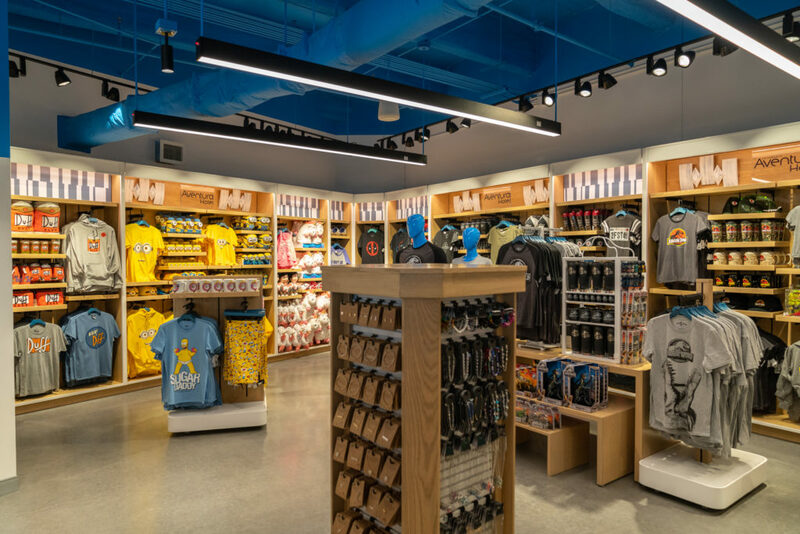 The lobby of Universal Orlando’s sixth hotel is one of the biggest yet – open and spacious, and yet just as sleek and streamlined as the rest of the building. 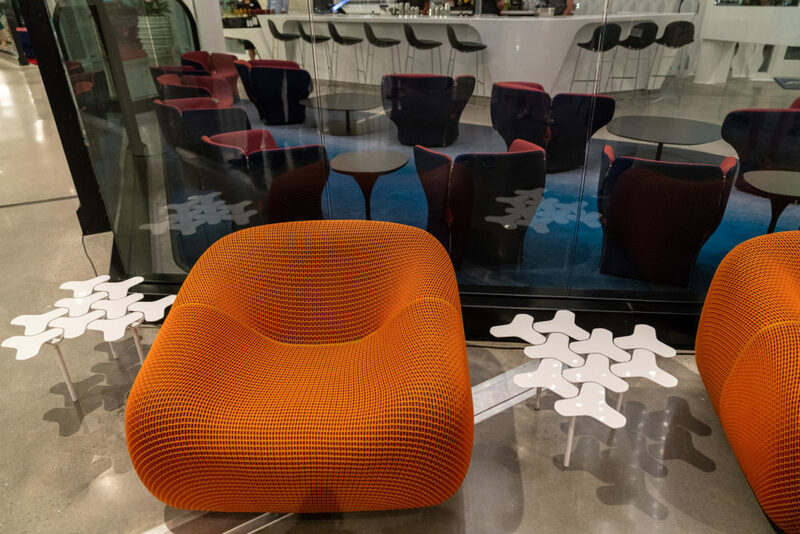 The company says this is to initiate conversations from the guests who navigate it, but it could just as easily be for the beautiful sights it creates. 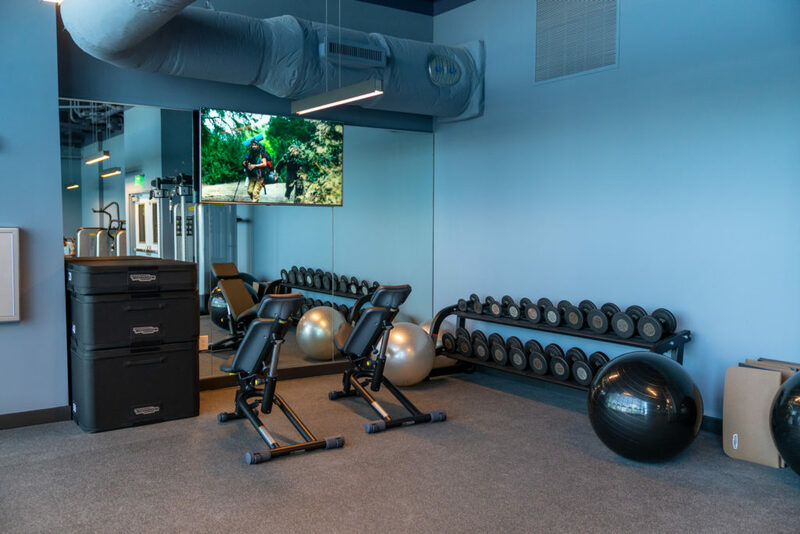 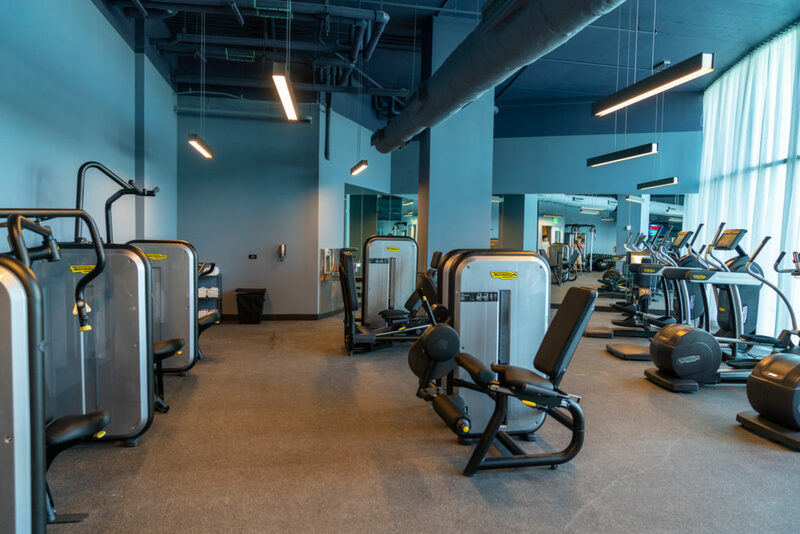 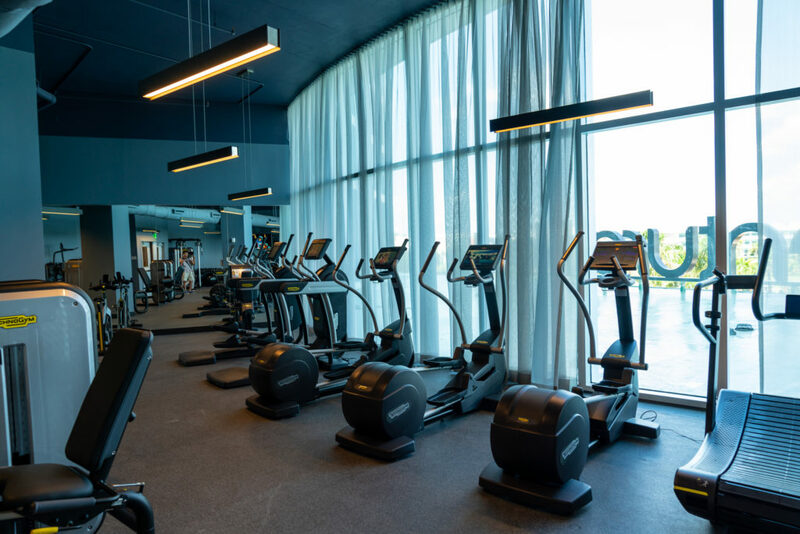 Aventura’s fitness center is just as minimalistic and modern as the rest of the hotel, carrying the theme all the way through the premises. 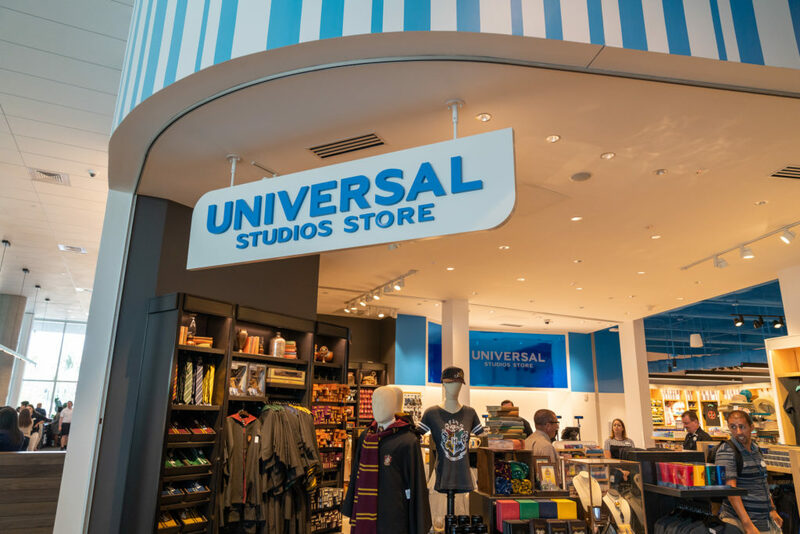 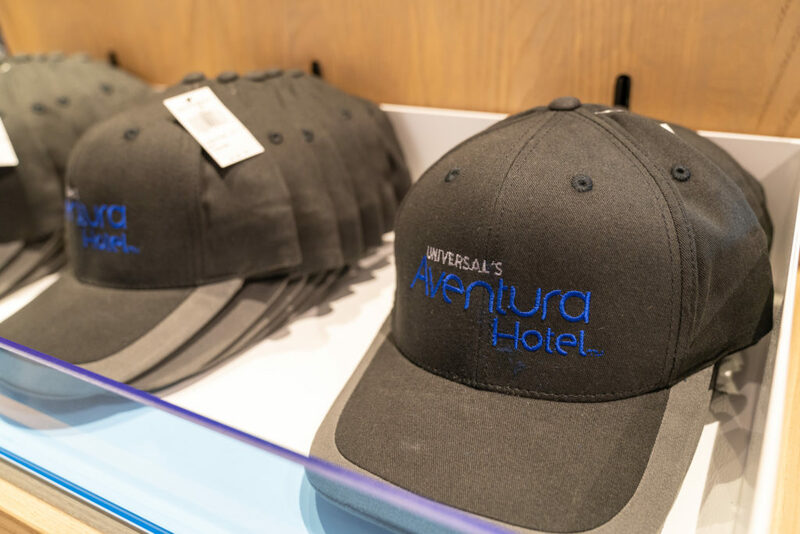 Every hotel has a Universal Studios Store, and Aventura’s is located in its giant, open lobby. 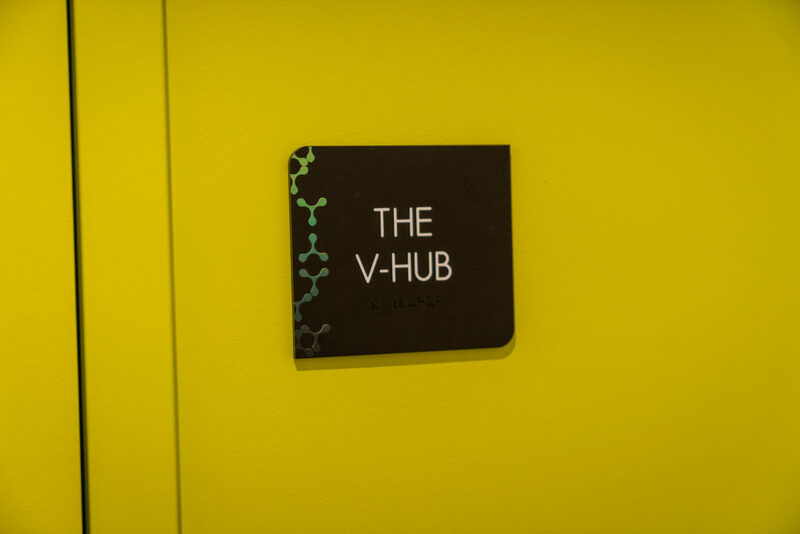 Virgin Holidays’s V-Hub is a place for out-of-country visitors to relax and recharge on their departure day. 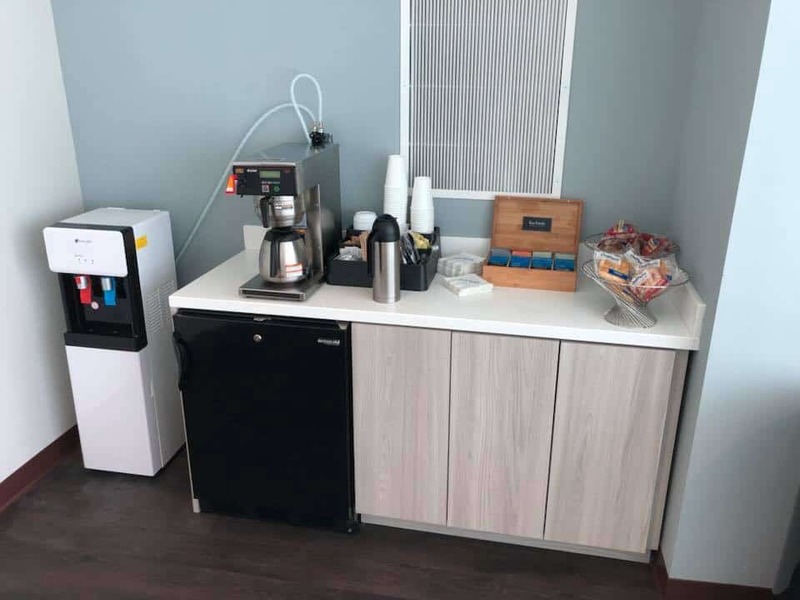 It also offers complimentary light morning snacks. 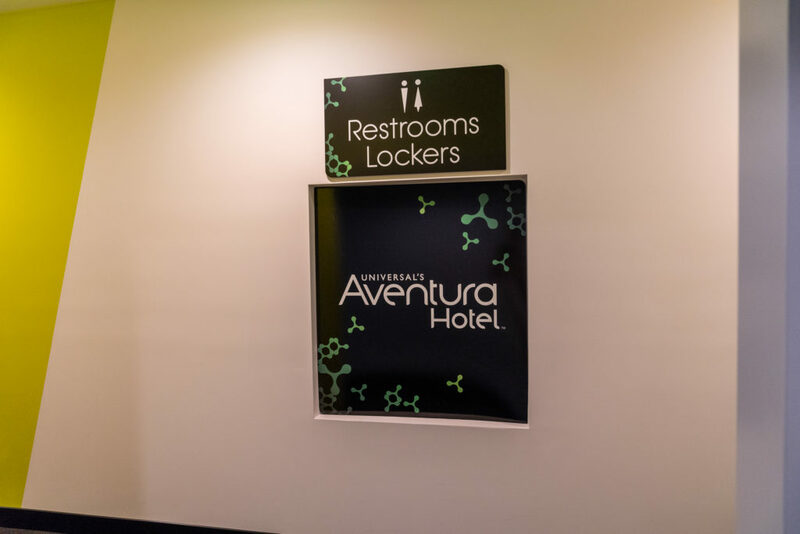 Along with Bar 17 Bistro, the virtual-reality game room was largely considered to be Aventura’s crown jewel – at least, in terms of the pre-opening buzz and speculation. 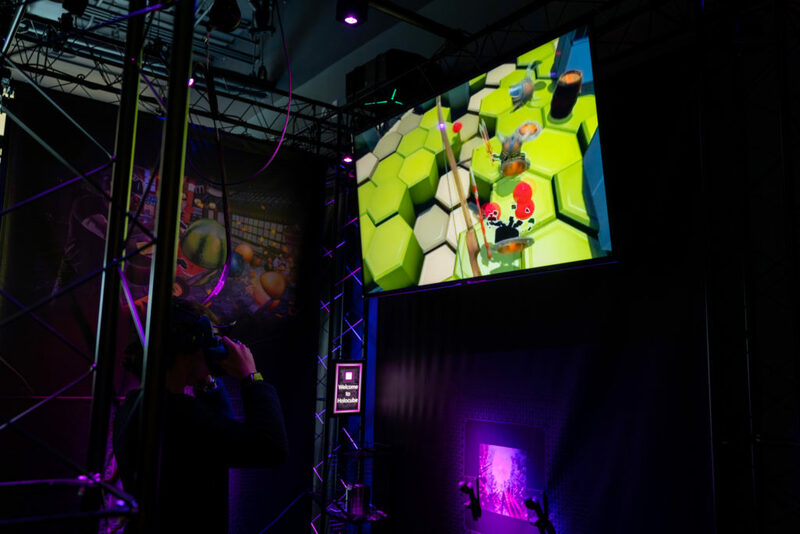 We can report that the collection of VR games is fun, though it’s not necessarily the most robust lineup. 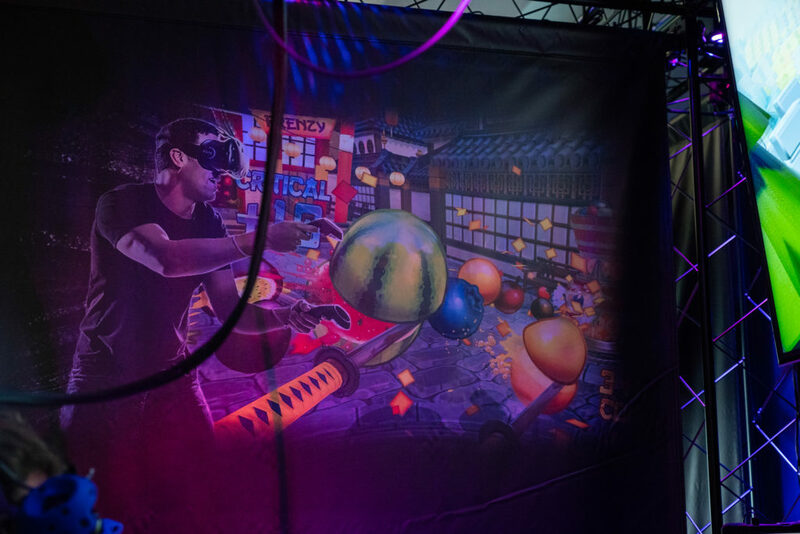 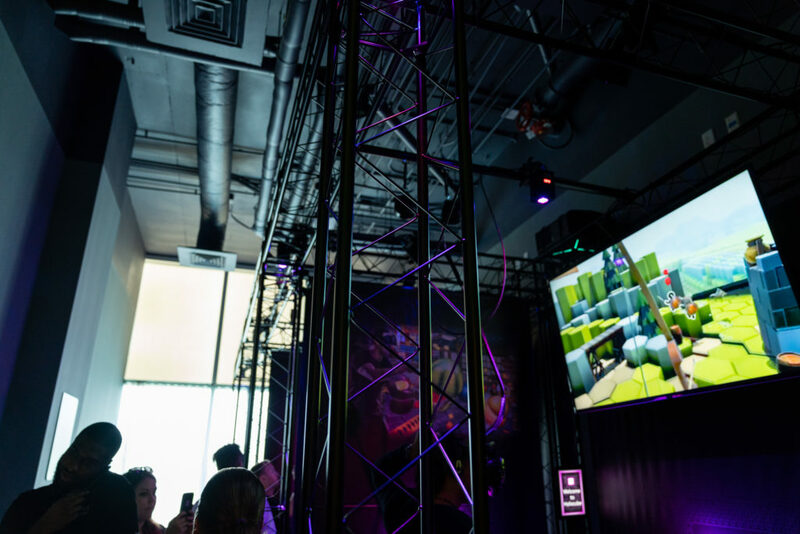 Here’s how it works: you pay $10 for a five-minute spin with one of six different games, which include Snowball, Longbow, Vortex, Fruit Ninja, Space Pirates, and Zombie Training Center (each one is rather self-explanatory, we think). 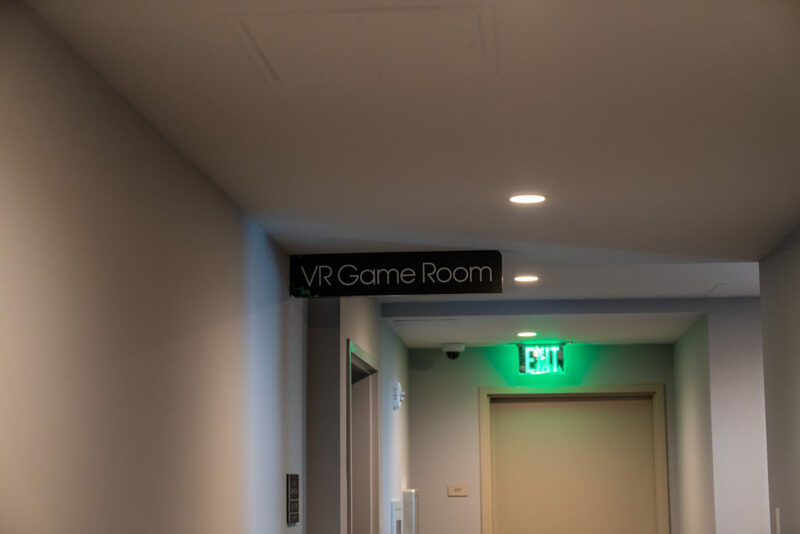 The VR game room’s hours of operation are 2:00 pm to 10:00 pm daily. 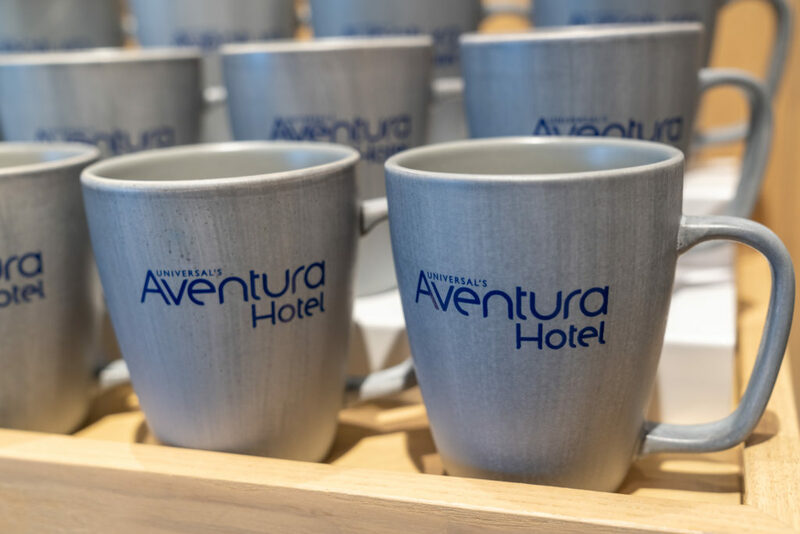 Do you have a question about staying at Aventura Hotel? 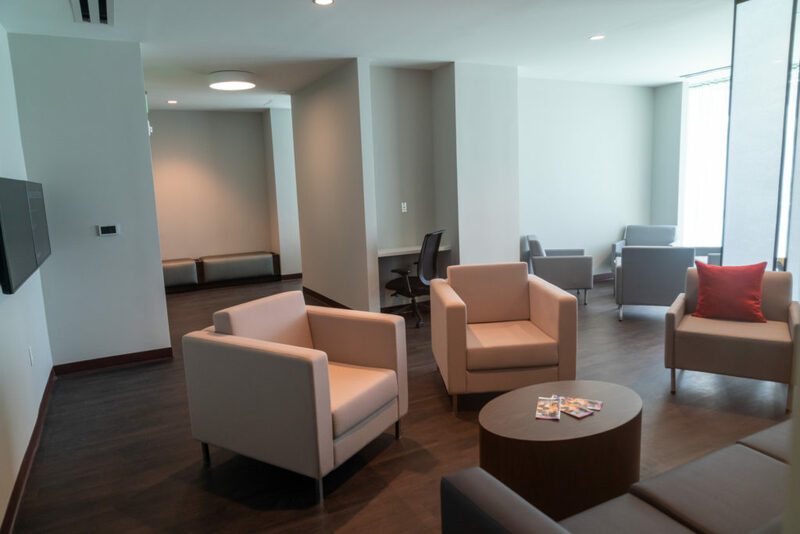 Please let us know by posting in our OI Community on Facebook.